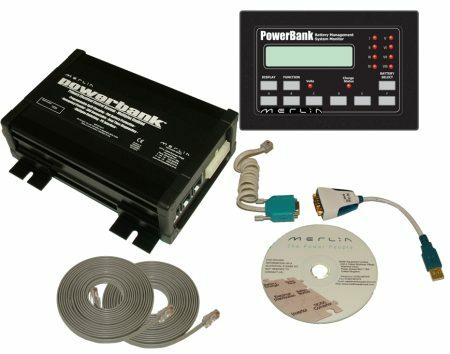 Merlin Battery Management Systems combine the features of our SmartBank, PowerGuard & DataCell products. Think of them a bit like an engine ECU – but instead of controlling fuel flow and RPM for an engine, they provide precise and exact control of even the most complex primary electrical system. 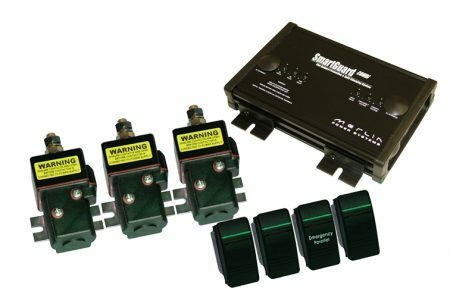 8x Inputs and outputs to control/interact with other circuits on board – for example ignition inhibit, over-riding flat battery protection when certain loads operating etc. Expandable input/outputs to provide control for up to hundreds of devices/operations in the system (Powerbank only). Outputs can be configured to be driven from battery condition or separate non-battery management related circuits. This even includes flash patterns for LEDs or lighting. 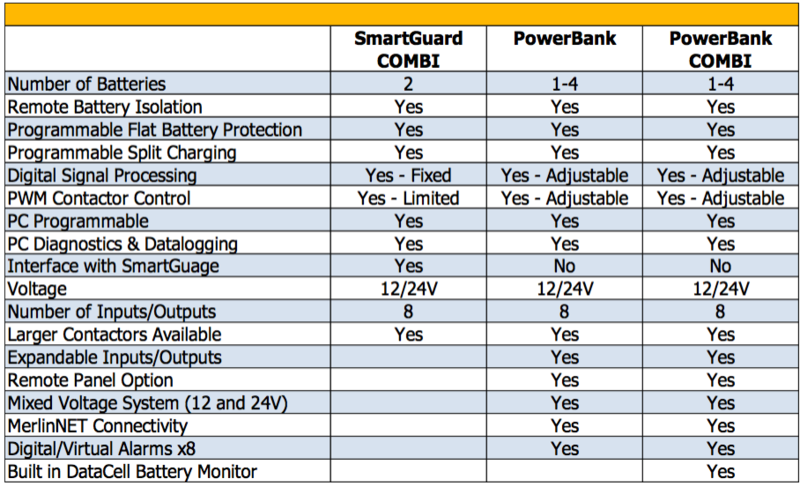 SmartGuard COMBI™: Designed for smaller vehicles where vehicle operators require a SmartBank Split Charging and PowerGuard remote battery isolation/flat battery protection. This unit combines both in a single, compact product. Each PCB carries type approval. PowerBank™: Provides remote battery switching, flat battery protection, prioritised split charging, jump starting, battery cross feeding, expandable 8x inputs and outputs, RS422 data, MerlinNET, optional CAN and remote panel. 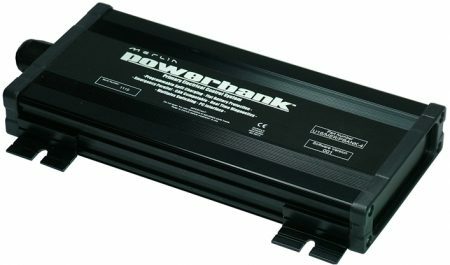 Control for up to 4 battery banks per controller. PowerBank COMBI™: PowerBank with built in DataCell battery monitoring and supplied with remote panel.